Is Free Ad Cash System a scam? Or can you really make $3,671.32 per day? I landed on their sales page one day and I got interested in the claim they make on it! Now wouldn’t that be a nice payday! Simon Green, the assumed creator of the system, says you can make this kind of money by flipping ads. Really? Flipping ads? How the heck does someone flip an ad? I was watching this video and the man in the testimonial video said that he made $3,902.80 dollars within the first 48 hours. This other testimonial the man is claiming that has been making money since day one of joining the system and that “checks have just been piling up since”. During the video, they also claim that they can make you a millionaire in 2 and 1/2 months so they are only choosing a few more “lucky members” who will join his “Elite Circle” and they will make at least a million dollars in less than 3 months!!! If you calculate $1,000,000 / 3 months equals $3,671.32 per day. All you have to do is buy and sell some ads. After going through the video I figured out quickly that this program is just another binary options trading software designed to make money to the people who have created it. Nothing more. 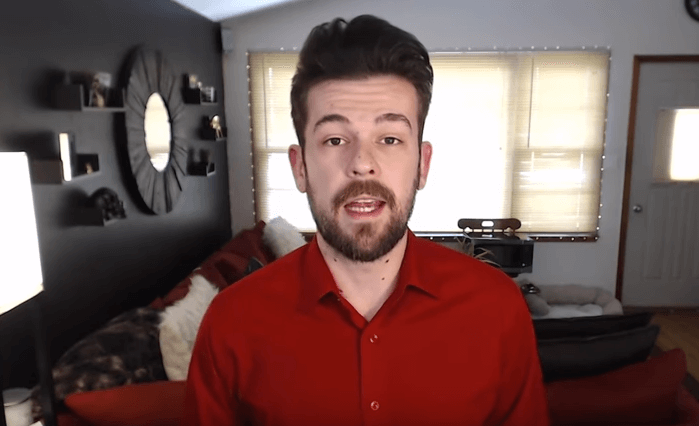 The thing is, they don’t mention anything about binary options anywhere or anytime in this video probably because they know that there are so many scams in the binary options industry that people will be less likely to fall for it. As you can see, the “nothing at all” option here is what stands out! I have lost money in the past with binary options, and I can pledge that maybe some people make money with it, but for the common people, it’s a losing game! Usually, I will analyze the platform and give you a good understanding of how they really operate. This time, I will not because of all the flags that came up during the video, I did not and will not give them or waste a penny of my own money on a program that I don’t believe in, so no I did not actually buy in their system. I did, however, inquire from their sales page how they operate. Once you give them your name, email address, a password and a phone number, you will get assigned a trading account. Then, you need at least $250 of minimum “investment” to start. So yes, you do get a free account, but you have to add these funds in order to use it. Hmmm, do I really want to try this? 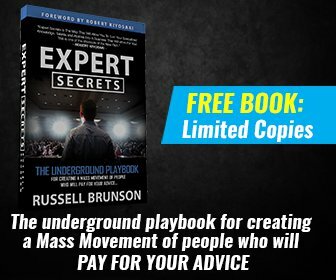 I’ve seen it before, the main reason behind this is to make you lose your initial investment, then someone from their “program” calls you (on the phone number you have provided in the FREE system trial) and tries to convince you to put in more money in the system. Why do you think they ask for your phone number…? They usually work with suspicious brokers and all they want to do is get a commission on your deposits! The video was made with paid actors: I found these guys, that are making testimonials in the video on Fiverr. Right there we can say that their claims are false because they are just paid to say whatever script they gave them. How can a system like this that would make you a millionaire in 3 months and be free? Why would they pay actors for their testimonial? Because nobody has been successful with this free ad Cash System!!! If it really worked, it wouldn’t need to pay them. I also tried to look up Simon green and it doesn’t show up anywhere else but in the free ad Cash System site. Why is he hiding? Because it’s a bunch of Lies. I don’t know about you, but I don’t trust a system that you can’t even see who created it. On top of that their video pressures you to sign up and claims that you might not be able to watch the video if you leave that page just to get you to stay watching the video. They claim that this information is so sensitive that there’s a good chance that you won’t be able to see it again if you decide to leave the page. The truth is this video has been online since July 2017. They want you to believe this is an exclusive offer. It has all the suspicious fake claims of a traditional scam: “we only have five spots available.” You can check in a few days, weeks or even months, and those same five spots will still be there. What is Flippin ads anyways? Well to tell you the truth, there I have never heard of such a thing. Companies buy ads to promote their products and services. I have never heard of a system where you flip ads. Just by looking at all of the false claims and the amount of money made by “recent members” was enough for me. You just have to look at these claims and realize that it is impossible to realize such a gain in such a short period of time. In the video, the narrator (I will not call him Simon Green since I could not find proof that he even exists) explains how he has put in $250 and shows the clock at 21:10 pm and three minutes later at 21:14 pm he has increased his initial $250 deposit to $8,214.14. A $7,964.14 profit in 3 minutes?? Again, this is a BIG FAT lie! If it was real, can you imagine the amount of money that could be made in a single day? I’m not even going to waste my time trying to figure that out! It’s not even ads, its binary options disguised as ads! I cannot find anything good to say about this program, so I will not give them any credit whatsoever. They are too numerous to list here. I will, however, say this: The Free Ad Cash System is NOT free, and you will end up losing money instead of making some if you subscribe! Plus, they will spam your email with hundreds of other scams offers! Take it from someone who got taken for a ride in the past. I can honestly say that this program has all of the elements of a SCAM! So, YES, it is a SCAM. They say it’s FREE, but right in the video, they explain that you have to “add funds” to your account. What is free about that? It is the typical “get-rich-quick” scheme! How can a miraculous system like this making you a profit of $7,964.14 in 3 minutes be FREE? And REAL, as a matter of fact!!! Don’t waste your time or money on this! I cannot recommend this system. There is no existing system that works on autopilot that makes money. It simply does not make any sense! If you think that you can make money online without any work whatsoever, you are mistaking! Making a full-time income online requires work and dedication! It won’t happen overnight, but if you are persistent and patient, it will happen. There is a very legitimate platform that I recommend, which is very ethical, helpful and supportive and will get you going with your online business very easily. All of this for FREE – really free NO funds or credit card required! Is Viral Cash App a scam? Or can you make real money with it? But it’s a big shiny object to the person looking for a way to make easy money. The thing that everyone has to realize is that there are no get rich quick method. You want to make money online, well it’s just just like a brick and mortar business, we have to put in the time and effort to have success! Wealthy Affiliate has all of what a person needs to succeed, and then some! Thanks for stopping by Karen. I wish you success and wealth in your endeavors! I was about to buy into it, but I am glad that I read your review. They clearly pay people and they read some script! This is just disgusting and everyone should be aware of it. I wonder if it is it okay that I share this post? Because I want my friends to stay away from this program also. Yes you can share this post all you want. People should be made aware of programs like this one. I would definitely stay away! I am grateful that you did not lose your hard earned money by reading my post. Thanks for bringing another scam site into the light. I also very often come across such sites called Binary option Autopilot system, through poping up videos and websites (in my opinion, only scam sites pop up unwantedly) and even sometimes I was tempted to sign up. But, Thank god, I never signed up. Ultimately I landed up in Wealthy Affiliate The awesome community and my site has started bringing some money. You are very welcome Prabakaran! I always try to be as neutral as I can when I do reviews, but this one had all the elements of a SCAM! I also love Wealthy Affiliate, it is a genuine platform, a one stop shop when iota comes to building an Online business. There are no others like it! You really make a good job of putting into the light this scam. Investment scams are disgusting. All these scams can be avoided if we consider the simple principle of Buffet “Only invest in business that you can understand”. In the pursuit of understanding a business for future investment, you should gain the knowledge to tell if the business is a scam or not. You are making an excellent job of exposing the truth for this one. Grateful you liked my post! The main goal here is to make people aware of what is out there! You have the right mind frame to gain knowledge on any business before investing in it! Thanks in kind for exposing such a filthy and downright rotten scam! and a huge kudos to you!. I do think (the operative word!) I know what flipping ads is. I think it is verbal gymnastics and word play describing these PTC sites, you know ad-exchange sites. I have indeed made myself on the legitimate trading on the REAL stock market, primarily dividend paying shares fully retired at the ripe old age of 34. Trading (of any asset, including cryptocurrency!) is a skill and it is no hard and fast profits..period! I was lucky..I inherited a large sum, invested it and waited long term reinvesting all my dividend payments into buying more and still took 15 years or reinvestment to obtain a humble earning from those shares!. Binary..although a profit is possible, with a high level of skill I would nt touch them with a barge pole! I’m with you when it comes to Binary options. It is possible to make money with them, but not the way they hide it behind a “flipping ads” method. I personally lost a bit of money in Binary options, and will never deal with them again! Exposing this kind of system is one of my main goal with this website, and I am grateful that you are with me on this one! Thanks for stopping by! I could smell the scam because of the binary option. This works more like gambling, where you put your money in a black hole where you HOPE to make more money. This is a very unsustainable method of making money, it works more like betting. 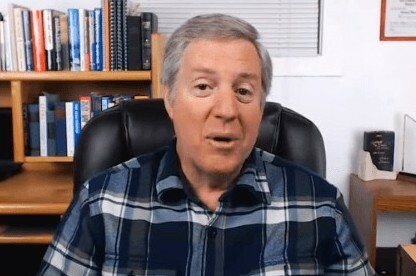 Their claim is crazy there is nothing like a fail-safe method of making money online most of the millionaire I follow on social media did lose a big chunk of money at some point. Skills take time to build not in hours. I do agree with you comment, binary options are a bit like gambling. What i dislike the most about this program is that they try and hide binary options behind a thing called flippin ads. There is no such thing! It doesn’t exist! I did not buy in this system and I will tell anyone who wants to listen NOT to give them any money! It is a pure SCAM and all they want is your money, nothing else! Like you brilliantly say, when building an online business, skills take time to build. 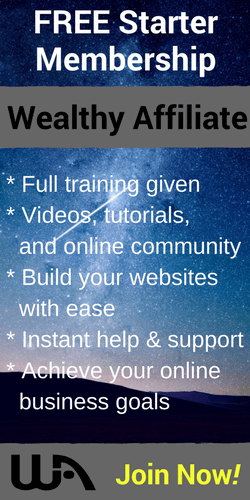 One pave I do recommend to build your online marketing skills is Wealthy Affiliate. They are genuine, trustworthy and best of all free to try! No gimmicks, No credit cards, nothing. Just your name, an email and a password. That’s it! If you haven’t done so, I suggest you take a look here. Thank you for adding your opinion on my article! I appreciate! 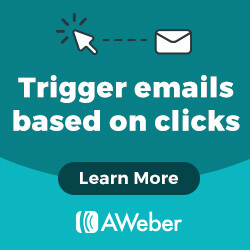 This sounds very similar to a scheme that I came across a year or two ago where people were allegedly making thousands of dollars minutes after signing up. I didn’t have money to pay the registration fee, and after reading this I feel better about not having paid that registration fee, now that I have a clearer understanding of how that scheme a year or two ago was probably set up. A platform that keeps trying to get you to send money to them is a dead giveaway for a scam operation. If they’re that sure that you’ll make money immediately, and lots of it, then why don’t they simply take the registration fee out of individuals’ first earnings? It`s all about the money they can squeeze out of you man. They won’t give you a break, they need the money to put in their binary options! It’s deceitful that’s what it is! It is a scam to get the most money out of their “flippin ads members”. Flipping ads! I heard it all! I am glad that you did not fall for it either! That is the purpose of my blog! I want to educate people on how they can make honest money online, not some get rich quick scheme! I wish you success and wealth my friend!